Hello Everyone! I'm not sure yet if I'm in the right category but, here it is. I will be migrating to Winnipeg Manitoba Canada for good this coming end of September. 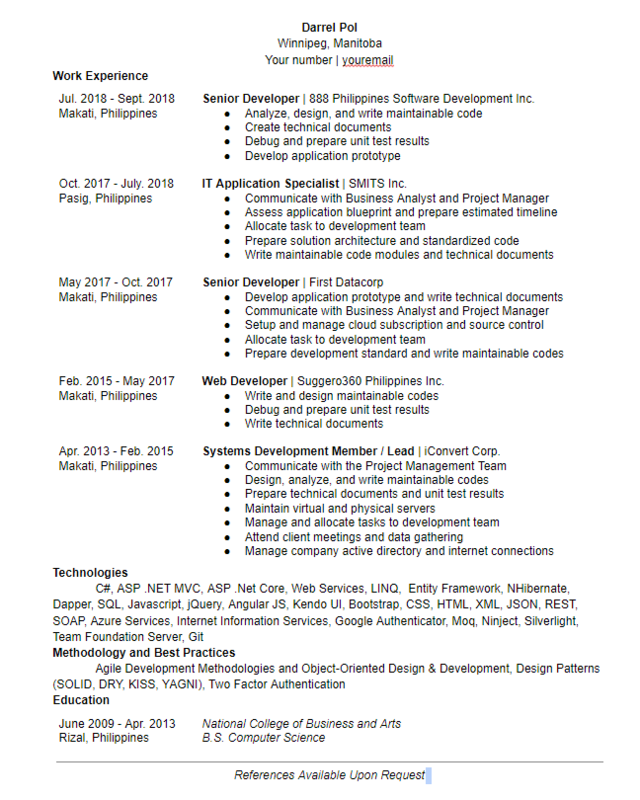 I'm just testing my luck here and see if you guys can help me find a job there. Feel free to view my LinkedIn profile here. Thank you in advance! P.S. @Joy recommended this site. Hello everyone! I'm Darrel from the beautiful islands of Philippines! I can learn faster than The Flash! UPDATE! It's so damn cold out here in Winterpeg!! @manxam I'm happy tho, I get to enjoy the white Christmas here in Winnipeg for the first time. Hello @darrel , Please let us know what's going on there now. Doing very very great here! So COLD! Thanks @scottalanmiller! Nice seeing you again, virtually. If you remember me. I will be migrating to Winnipeg Manitoba Canada for good this coming end of September. Awesome, that should be a very nice move. Yeah! I hope everything goes well. That's a pretty cold and remote city. Will be quite the change!